December is a month of celebrating and remembering, a month of symbols. Christmas stars and trees, festival food, coal and golden switches, saints’ days, ceremonial candles, long nights, remembrance, and gift giving. Let’s explore some of the holidays (past and present) celebrated each week during this wintery month. We’ll start at the beginning: the first day of December. Note: I’m extending the week to include the first few days. I’m sure most of you have heard of Aids. Many of you have had friends or family affected by Aids. It’s important to remember this disease is not yet conquered. Let us re-dedicate ourselves to its eradication and to remembering all those stricken by this devastating illness. Did you know that in Alpine countries, Saint Nicholas has a devilish companion named Krampus? Krampus carries chunks of coal and bundles of birch branches (called ruten). He visits each town rattling his chains and punishing bad children. HIs visits come the night before the Feast of Saint Nicholas. Some households keep a bundle of branches in a vase all year long to remind the children to behave. Krampus probably started long ago as a pagan ritual that has lost appeal to more modern folk. In recent years increased interest in Krampus shows up in the form of cards, tattoos, and parades. Nikolaos of Myra, (15 March 270 – 6 December 343) was a Christian saint and Greek Bishop of Myra. Because of the many miracles attributed to his intercession, he is also known as Nikolaos the Wonderworker. Saint Nicholas is the patron saint of sailors, merchants, archers, repentant thieves, children, brewers, pawnbrokers, and students in various cities and countries around Europe. 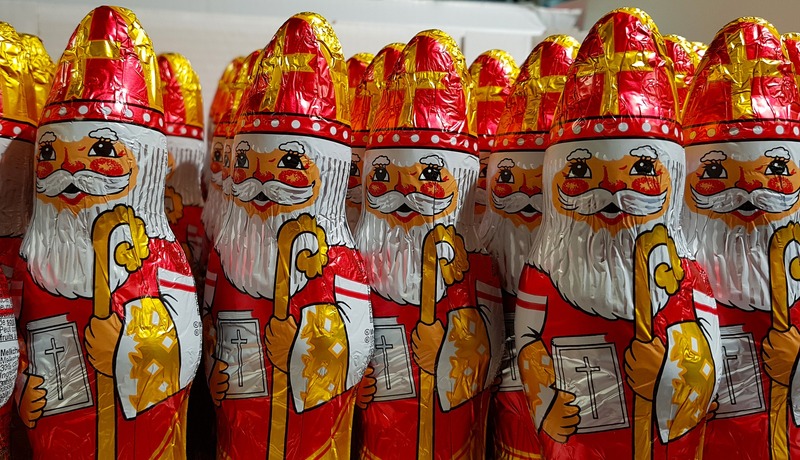 His legendary habit of secret gift-giving led to the traditional model of Santa Claus (“Saint Nick”) through the Dutch Sinterklaas. This Day of Enlightenment celebrates the day that the historical Buddha (Shakyamuni or Siddhartha Gautama) experienced enlightenment. His enlightenment came while he meditated under the bodhi tree. Often this day involves a meal of tea and cake and is spent in meditation, studying Buddha texts, and chanting. According to my research, Bodhi Japanese Zen Buddhists celebrate this day. Tibetian Buddhists and Theravada Buddhists each celebrate this event on different dates. Many Catholic countries celebrate the day of Virgin Mary’s Immaculate Conception as a public holiday. Celebrations include parades, the lighting of an Advent candle, and songs. Also part of the holiday is piety and salvation as represented by Mary, the mother of Jesus. If you celebrate one of these holidays, I wish you the best. I hope I did your holiday justice with my brief intro and I’d love to hear how you celebrate. Do you have a holiday or tradition during the first week of December? Were any of these holidays previously unknown to you?